100% freeware to convert PDF to Flash SWF format or Web format, then create digital flash magazine. Automating the process of converting PDF to Flash. 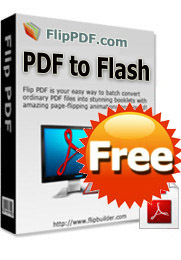 Convert your PDF to impressive digital flash book in seconds. Unlimited use desktop application. full multilanguage support. Work with Hot Directories (watch-folder) and command-line mode to convert PDF to Flash. FlipPDF to Flash Converter is a 100% free PDF to Flash converter can convert any Adobe PDF document into a Macromedia Flash (SWF) files. 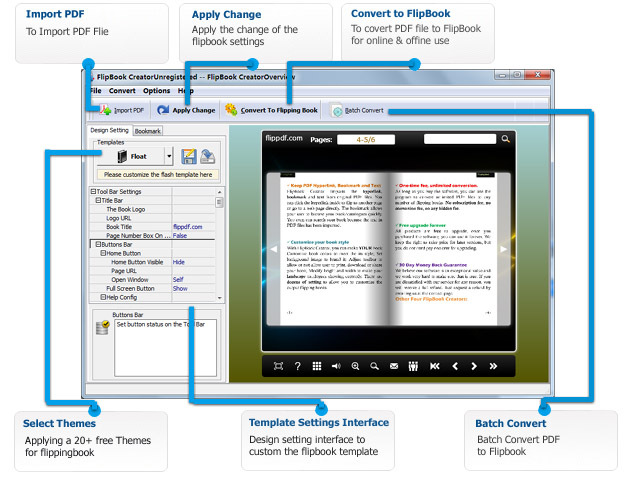 ThisFlipPDF to Flash Converter can create flash books through converting PDF to SWF flash video formats, which help you on changing simple PDF files into animate ebooks only few clicks with your mouse. FlipPDF to Flash Converter support Monitor a directory for changes (such as while PDF copying into) and convert them into flash digital flash book in background. I have faced the problem of putting PDF online. It seems that it's easy, but there a number of issues... I wish someone could help me with this. I've finally find out how to do things I need and I share my experience below. The free PDF to Flash converter can very useful when you have to embed PDF files in web pages for inline viewing or you want to read PDF files on a computer that has no Acrobat Reader. With this free PDF to Flash converter, users can make it extremely easy to share PDF files in flash on website or blog, send via email or burn on a CD.